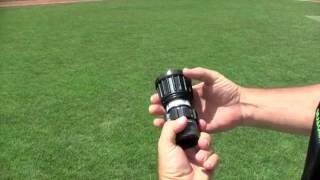 The ultimate ballfield resource. Blog & field tips. 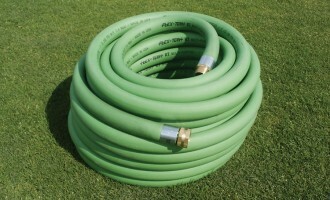 Are you looking to replace the old field hose you have been using? You may not be sure which type of hose to buy, but luckily Beacon has plenty of experience with the various hoses we sell. They have all been rigorously tested at our research facility at West Madison Little League. At the facility, our hoses are out in the elements all day long, every day, to give them the full abuse. They are left on the infields from April through October where they are plugged in and used several times a day to hydrate the infield skins. Our irrigation system operating pressure is 90 psi. We have taken note about how long, on average, each of these hoses typically lasts and how they will likely fail over time as they wear. Based on the testing that we have conducted at our facility, along with customer feedback and tendencies, I have ranked the hoses according to your typical “Good, Better, Best” rating. Big Red Field Hose: Max working pressure 150 psi. 100′ one inch diameter hose weighs 32 lbs. This PVC hose is the basic of basic hoses. No frills, serves the purpose of water transport. Longevity under our testing 1 ½ – 2 years. Hard to roll in cold but first to warm up and soften in the sun during the colder months. Typically fails in age by blistering leading to rupture. GH Field Hose: Max working pressure 150 psi. 100’ one inch diameter hose weighs 32 lbs. The GH Hose uses a PVC inner lining that is encased in another layer of PVC that is reinforced with a polyester yarn. Like the Big Red, this hose is hard to handle in the cold. This hose, with age will often blister between the two layers of PVC and with time, will then burst. Average length of life for our testing facility was 1 ½ to 3 years. ProFlex Hose: Max working pressure 150 psi. 100’ one inch diameter hose weighs 42 lbs. The ProFlex is our premium PVC hose that has a rubber feel to it. Yeah, this hose is heavy but it is extremely durable. This hose has blown away the competition in longevity at our testing facility lasting anywhere from 8 to 10 years!!! These hoses we use especially for manual irrigation all over our complex so these hoses are often dragged all over. They really resist abrasion better than any of our other hoses. The only reason these were not rated as the best hose is because 7 times out of 10, groundskeepers who call Beacon about ordering hoses will choose by weight over longevity. When these hoses finally fail on us it is usually from pin holes that develop in the hose material itself that then slowly grow with time. As you can guess, the ProFlex is also quite the wrestling match for ground crews when colder weather is in place. NOTE: All of the hoses listed above are able to be repaired on the coupling ends or in the middle of the hose using repair kits available through Beacon. The one exception is the Ultralite hose which has no repair kit for replacement couplings or a mid-hose repair. 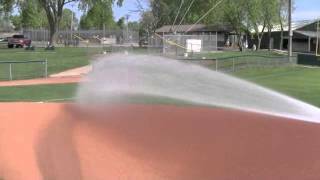 A hose delivers the most vital and important lifeblood to a ballfield, water. Through the valued testing that we perform on a daily basis at our research facility, we hope this information can make it much easier for you to choose the hose that best fits your needs. A former head groundskeeper for the Baltimore Orioles, Paul graduated from the University of Wisconsin in 1984 with a Bachelor's in Soil Science with a specialty in Turf & Grounds Management. Paul took over as head groundskeeper for the Orioles’ final season at old Memorial Stadium in Baltimore and then was heavily involved throughout the design and construction phases of Oriole Park at Camden Yards which debuted on April 4, 1992. Paul has led Technical Sales Support at Beacon Athletics since the summer of 2000. In 2012, Paul authored and oversaw the launch of "Groundskeeper University", the first online ballfield maintenance training venue. Over the years, Paul has donated thousands of hours working with West Madison Little League, which also plays a critical role in the research and development for many of Beacon’s innovative field maintenance tools. Built to provide incredibly smooth operation. Choosing a Nozzle for Your Infield HoseShould you buy an Ultralite High-Pressure hose?